Termed as one of the smartest safest countries, you need to be very careful while gifting flowers in Singapore. Flowers & Gifts has flourished as a business as they are an intimate affair so as to establish a personal connection with someone there. The safest choice will be Roses, Carnations and Lilies, Lavender and Tulips. It’s a custom that flowers or gifts should be handed to the recipient with the right hand. 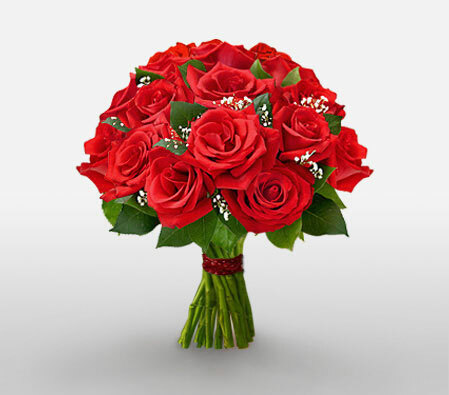 Send flowers same day to Singapore using our local florists & flower shops. Order by 12 noon. Send Easter Flower Arrangement, Easter Hampers & Gift Baskets to Singapore. Send Roses, Carnations, Lilies throughout Singapore for occasions like Birthdays, Anniversaries, Funerals, etc. Enjoy affordable flower delivery across Singapore, Ang Mo Kio, Bedok, Bukit Merah & nationwide delivery. How do i send International Flower Delivery to Singapore? Flora2000 has transformed International flower delivery to Singapore into a fine and effortless art. With our efficient flowers & gifs delivery services worldwide; you are sure to find the perfect expression of your message to your loved ones. Be it Roses, Lilies, Carnations or Cakes, our gifts are sure to make both the sender and the receiver happy. We make sure the gifts you give reflects what you feel about the receiver. Singapore is a sovereign city-state & global hub for education. It is termed as smartest city & also comes under the one of the safest city. It’s a multi-ethnic and multi-cultural land as a result there are different customs for the different major groups. This nation mainly comprised of people of Malay, Indian, and Chinese descent. You need to be very careful while gifting someone in it. Flower & gift business is flourishing in this country especially in Jurong East & West, Kampong, Pasir Ris, Bukit Batok etc. Flowers are an intimate affair so to establish a personal connection with the clients ,best gifting options would be Roses, Carnations, Lilies, Lavender, and Tulips etc. It is recommended that you should hand gifts to the recipient with your right hand only. Singapore is the most bribe-free country in Asia. They have very harsh laws against corruption. Exchanging gifts with government employees is strictly punishable. You can always gift a small and less expensive present. Gifts are usually wrapped. Unwrapping gift in front of the giver is not applicable in this culture. We have an exclusive collection of flower arrangements, hampers & baskets for this Easter. Our classy collection of flowers & Gifts for Easter to Singapore.